In the late 70's I developed a fondness for paperback books published by Pan under the Picador imprint. In a slightly larger format than typical Pan books, they had shiny attractively illustrated covers and distinctive white spines. 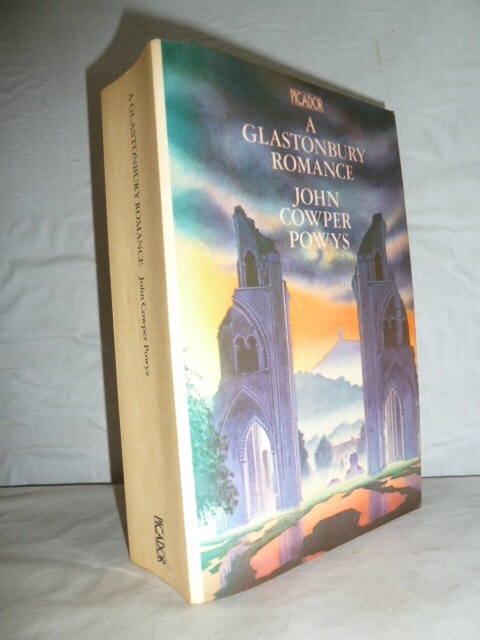 Often shelved separately in rotating book stands they were perfect for browsing and it was on such a stand that I bought on impulse John Cowper Powys's massive 'A Glastonbury Romance', the first book in what became a rather large Powys collection. Picador had a knack of publishing out of print and sometimes relatively obscure works, with an emphasis on fantasy and the imagination. an additional 200 pages of footnotes, the literary influences that led Samuel Taylor Coleridge to produce two of the world's greatest imaginative poems - 'The Rime of the Ancient Mariner' and 'Kubla Khan'. To my shame this book sat on the shelves for some 36 years, but now finally it has moved into the class of 'books now read'. And it was certainly worth the wait. Lowes' book asserts that the raw material for these poems was the confused jumble of images, phrases and fragments residing in the 'deep well' of Coleridge's memory. And Lowes piles reference upon reference in teasing out the source of this material. That may sound like pedantry in volumes but the hypnotic style of the book draws you into the quest. However, many of us have such a deep store of half-remembered fragments; Coleridge's supreme genius was in distilling them into so perfect a form that the poetic imagery thus created is still breathtaking. And what were the books that inspired Coleridge, who had never sailed beyond the shores of England when in 1797 he was writing of a mariner crossing the equator to Antarctic ice before becoming becalmed in equatorial seas? Lowes provides bibliographic details of, to take one example, the narratives of voyagers compiled by the English clergyman Samuel Purchas into weighty volumes published in the 17th century. It was while reading Purchas that Coleridge fell asleep, the last sentence he had read being "In Xamdu did Cublai Can build a stately palace". Famously on waking from his dreams Coleridge began furiously writing, beginning "In Xanadu did Kubla Khan a stately pleasure dome decree........", and so on, before the whole dream memory was shattered by a knock at the door and a visitor from Porlock. Only 54 lines had been written before the most unfortuate interruption in literature. Lowes shows that almost all the images and episodes in both 'Kubla Khan' and 'The Rime of the Ancient Mariner' can be found in the books Coleridge owned or borrowed (many from Bristol Library) or can be found in Dorothy Wordsworth's journals, she and her brother being his constant companions in Somerset during this creative period. The books include all the standard travel books of the time, such as William Bartram's 'Travels through North and South Carolina', Cook's Voyages and of course 'Purchas his Pilgrimage'. Not to mention Dante, 'The Arabian Nights' and Milton. The book is a labour of love and one of the most detailed studies of particular poems ever made. It delves at times into the psychology of memory. Lowes also has little time for those who write off 'Kubla Khan' as the product of an opium induced 'trip'. Yes, Coleridge did use opium but in a controlled way, often for pain relief, but these two poems are testaments to the amazing capacity of the human mind to distill beauty out of everyday experiences (such as seeing the old moon cradled by the new) and order out of the chaotic jumble lying deep in the well of memory. 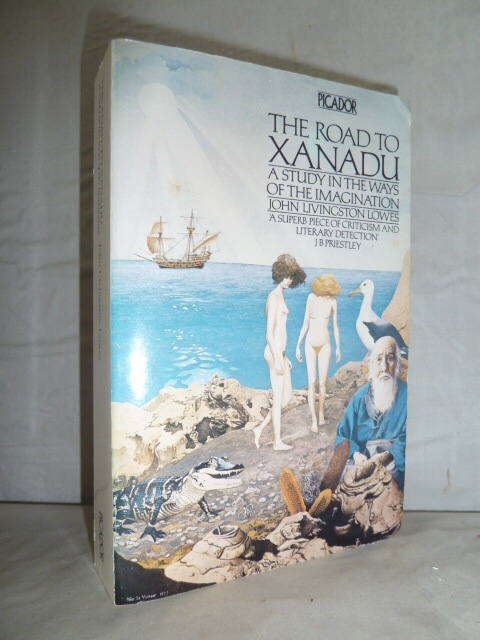 'The Road to Xanadu' was published in 1927. 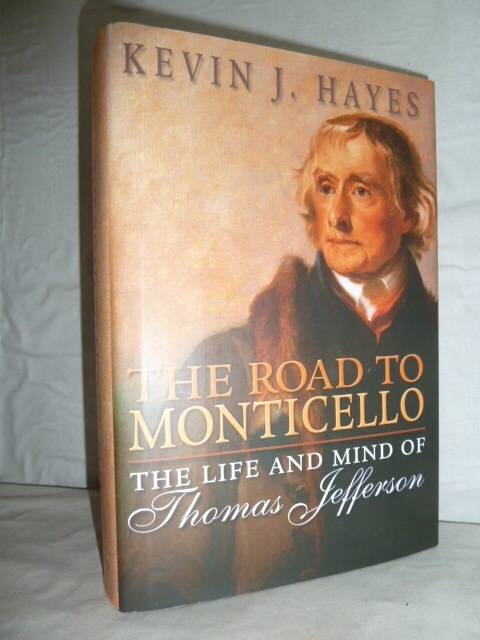 Some 80 years later, Kevin J Hayes acknowledged this work as one of the inspirations for his own book 'The Road to Monticello'. This is a study of what Thomas Jefferson read and how these books shaped his life. Sub-titled 'The Life and Mind of Thomas Jefferson', it is a fascinating study of Jefferson's reading life, how he acquired his books and, of course how he organised his several libraries (the chief one of which formed the core collection of the Library of Congress and to which we paid homage when in Washington last year). The use to which Jefferson put his books was, of course, totally different to that of Coleridge. In Jefferson's case the writings of thinkers such as Locke and Paine informed his political views, culminating in the Declaration of Independence. Histories, natural history and travel books informed his own description of Virginia and the classics broadened his mind into one of the most original of his time. Two very different writers, but in each case the rich soil of the mind cultivated and nourished by reading the great works of others produced a rare and imperishable harvest.